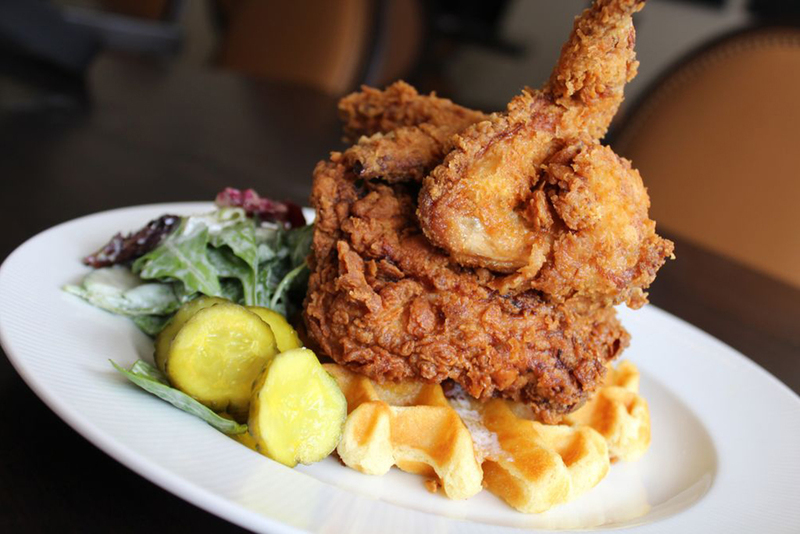 Although the town’s dining scene still skews towards comfort food, one scroll through our list of best restaurants in Des Moines will convince you that Iowa food is about much more than just corn, pork and fried food on a stick. 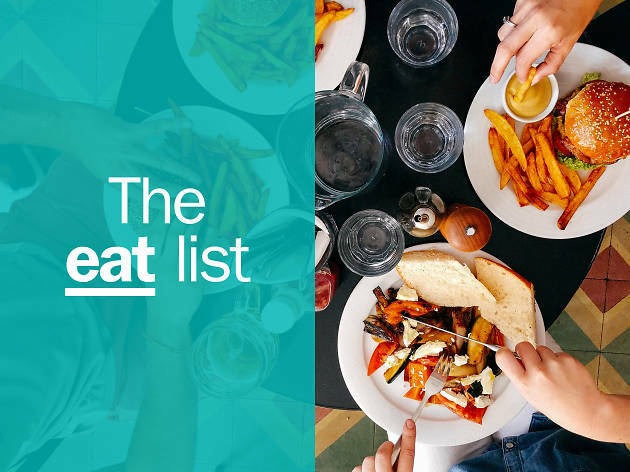 In step with the rapidly growing and diversifying population, a handful of new hotspots are highlighting flavors from all over the world, elevating the city’s foodie scene to new heights. Add to it the variety of fun things to do in town and beautiful hotel options and Des Moines might actually start to look like a very exciting destination within the United States. Let’s get down to it: From elbows-on-the-table to worth-the-splurge meals, you won’t regret spending a penny at these Des Moines gems. 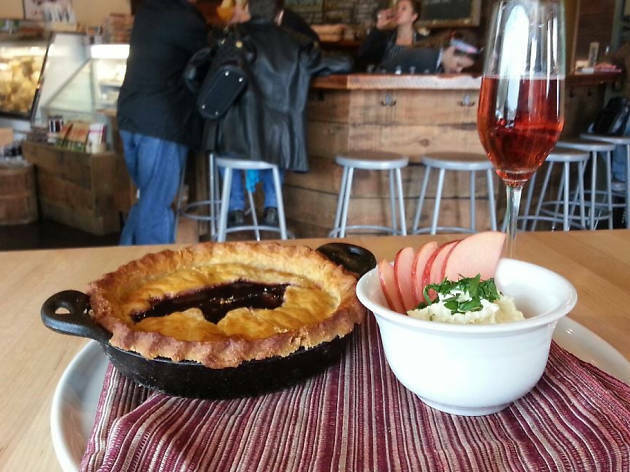 Many offering meals sourced by local purveyors (we are blessed with some of the richest soil in the country, after all) and each one only found in Iowa’s capital, these eateries will delight you in new and exciting ways. 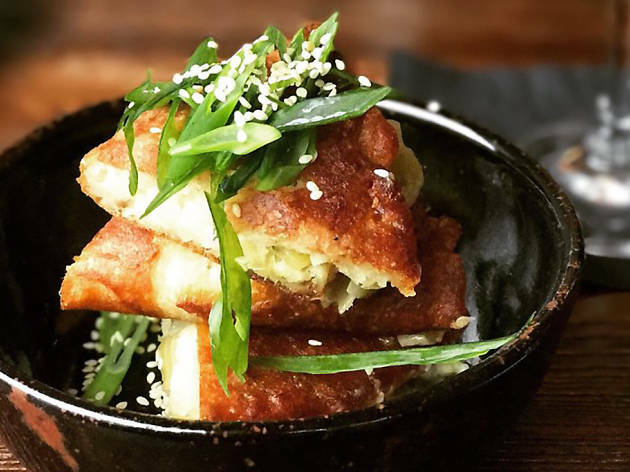 What is it: Harbinger is more than an abstract moniker for this Asian-influenced small plates restaurant—it’s a driving principle. Joe Tripp (co-owner/three-time James Beard award semifinalist for Best Chef: Midwest) and Rae Doyle (front of house manager and sommelier) allow the flavors of the season and farm-fresh produce to dictate the ever-changing food and cocktail menu. Expect creative twists on steamed buns, chawanmushi and mochi served in a natural, airy atmosphere. If anything lists XO sauce in the description, don’t skip it. Why go: The chef’s tasting menu with wine pairings—the ultimate culinary experience. The five-course, vegetable-forward adventure will leave you feeling uber-satisfied, we promise. What is it: Herbs and spices from Spain, Italy, Morocco and Egypt are the stars at this surprisingly affordable yet classy Mediterranean restaurant. Walk inside the trendy space constructed with reclaimed Iowa wood and you’ll be greeted by the smell of pizzas crisping up to perfection in the wood-fired oven. Why go: While the half-price pizza, beer and wine happy hour from 3-6pm daily draws a crowd, there’s no wrong time to eat at Eatery A—especially when you can score a table on the large patio and soak up the sun. Start your weekend with a boozy brunch, pull up a bar stool for a bowl of chef Nic Gonwa’s cioppino and a glass of vinho verde or end your date night by splitting a creamy and decadent salted caramel budino with your companion. What is it: Located in the center of a west side strip mall, this new American bistro looks unassuming. 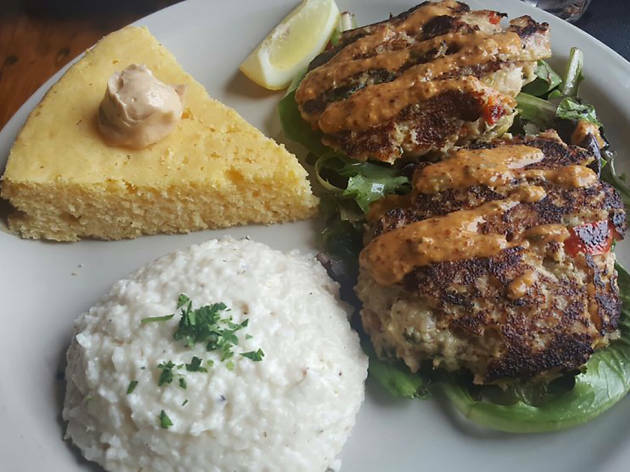 But just one bite of the perfectly-seasoned soups, juicy burgers and beautiful seafood creations is all it takes to prove you’re somewhere that is way more thoughtful than the cookie cutter chain bar and grill down the block. What is it: From morning coffee to evening nightcap, this light-filled cafe offers a taste of Australia without the 20-hour flight. Alex Hall, who was raised near Melbourne, and his Iowa-native wife Whitney ran five cafes in New York before moving to the area to open St. Kilda and ensure Iowans have a good day, too. Why go: The fully-loaded avocado toast is the Instagram darling of this downtown spot, but it’s not the only plate worth sampling. 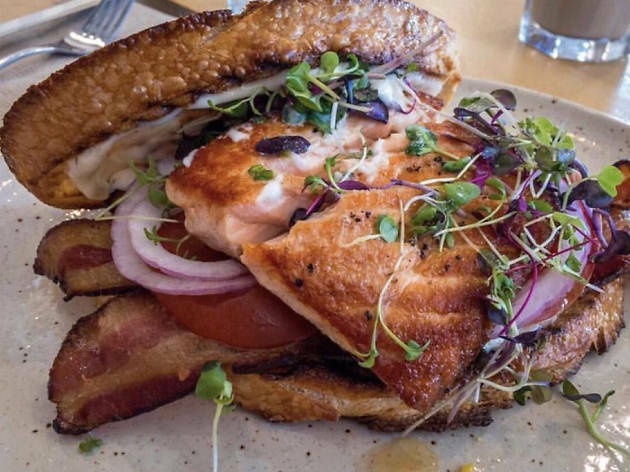 Fuel up with a healthy grain bowl or try the salmon club for a lighter twist on the diner sandwich staple. 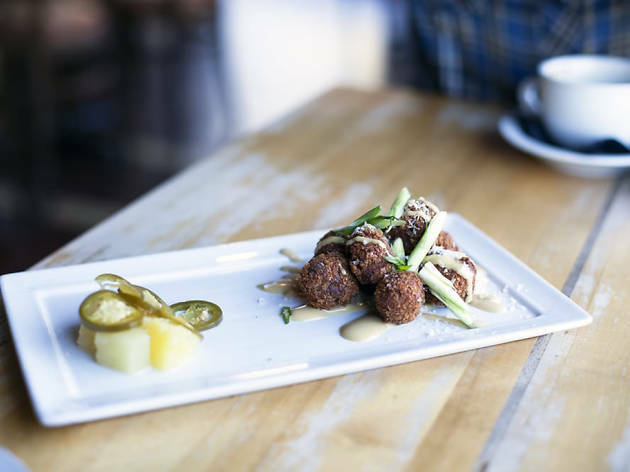 What is it: Located in a historic Victorian home built in 1880, this date night favorite is an ideal start to an evening that ends with a concert at nearby Hoyt Sherman Place. It’s owned by Tony Lemmo, whose family has been a mainstay in Des Moines’ Italian food scene for generations. Why go: The English translation of Aposto is “everything is right.” That feels quite accurate when you’re twirling tender, handmade pasta around your fork while seated on the covered patio come summer or in the charming dining room on a chilly winter night. New head chef Shawn Bennigsdorf utilizes herbs grown in the backyard garden to pepper each Italian- and French-tinged entrée with freshness. 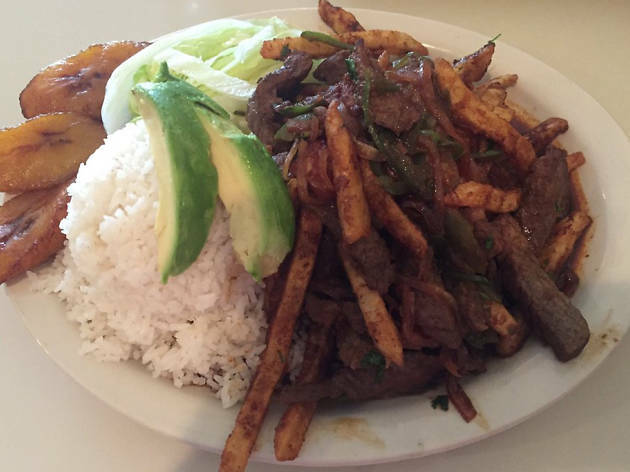 What is it: If you’re seeking a fancy formal dinner venue, this Ecuadorian spot isn’t it. Tucked between a gym and a craft store in a west end shopping center, you most likely won’t come running back to Mi Patria for the lovely ambiance. But you’ll probably sprint on in to relive the magic of the nicely-spiced South American recipes coming out of the kitchen owned by Ecuadorian Cesar Miranda and his wife Delilah. Why go: Crispy empanadas, ooey-gooey llapingachos (cheese-stuffed mashed potato patties) and fried plantains are just the beginning. After those must-try apps, split an entrée of fried egg-topped churrasco or hornado con mote (slow roasted pork with hominy). Since one order is more than enough for two, this is budget dining at its finest. What is it: Fluffy gnocchi and fall-apart tender pork osso bucco are among the selections at this East Village restaurant that specializes in elevating traditional American cuisine. Business lunches, date nights and friend gatherings all feel at home here. Why go: While there’s no bad table in Jason Simon’s dining room, the best seat in the house is at the chef’s table. 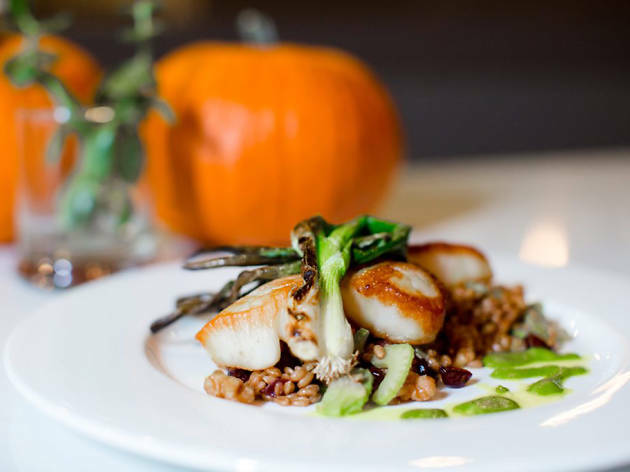 Here, you can spy on executive chef Mason Altheide and his team as they sauté and sear up a storm—and you’ll likely get a spoonful or two of their latest experiments. You can’t leave without at least perusing the dessert menu, which often features something topped with a sweet and savory homemade ice cream. What is it: C.J. and Kari Bienert and their passionate staff filled with fans of cheese, local beer and quality wine don’t only build craveable sandwiches like the pig and fig (local La Quercia prosciutto, double-cream cow’s milk cheese, organic greens, fig jam). They are also happy to slice off samples and lead an impromptu “cheese 101” class every time you step up to the counter to place your order for dine-in or takeout. With a curated selection of foods and drinks from around the globe, this should be stop number one on any dinner crawl or picnic evening. Why go: Although the shop is normally closed on Mondays, it’s actually secretly “open” on some days for wine and cheese classes. At around $35 for more cheese than you could ever eat and enough wine to surely cure any case of the Mondays, the classes sell out fast so keep an eagle eye on the website for announcements then call immediately to save your stool. What is it: Yes, it’s in a grocery store. Yes, it shares a parking lot with McDonald’s. But no, this is not your average supermarket cafe. Walk through the automatic doors of C Fresh Market and seek out the restaurant in the corner. You’ll feel like an insider as you devour some of the best broth, banh xeo (savory Vietnamese crepes) and wonton soup available for miles and miles. Why go: Take a seat, place your order for food and a Vietnamese coffee. 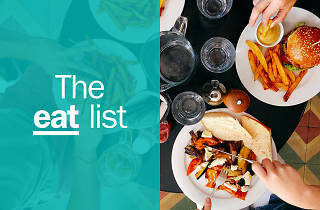 As your meal is prepared, tote your condensed milk-spiked java with you and stock up on fresh vegetables, scrumptious sauces and other items you won’t be able to find elsewhere in the metro area. 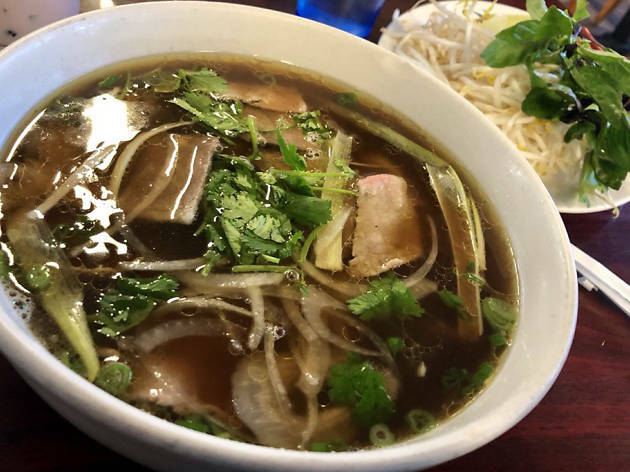 By the time you check out, a steaming bowl of pho will be waiting for you back at your booth. What is it: Just steps from the tourist-favorite sculpture garden lives three-time James Beard award semifinalist Sean Wilson’s Proof. 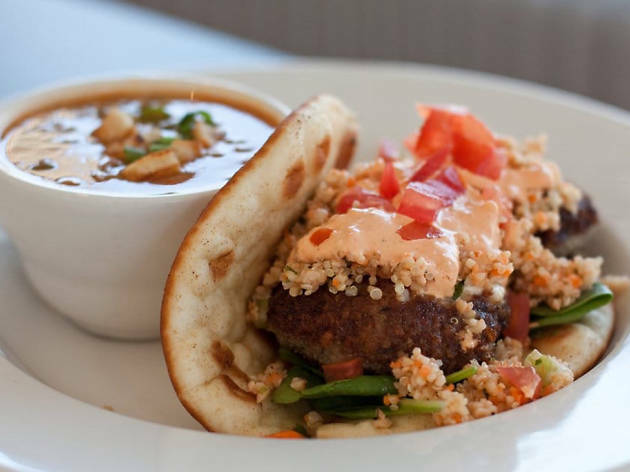 Blending North African and Mediterranean flavors with modern techniques, you’re unlikely to find similar dishes to his octopus-bone marrow gnocchi and saffron-aioli pork loin at any restaurant in Iowa. Why go: Beyond the gastronomic, bar manager Jared Giunta can shake you up a super-creative cocktail. Play “bartenders roulette” and you’ll be asked your go-to spirit and sweetness level. Then you’ll be gifted a custom mixed drink that’s guaranteed to satisfy your thirst for adventure. For a special occasion, make a reservation on any second Saturday of the month to split a 10-course menu with your dining companion. Past Second Saturday themes have included Charles Dickens, wild game and childhood food memories. 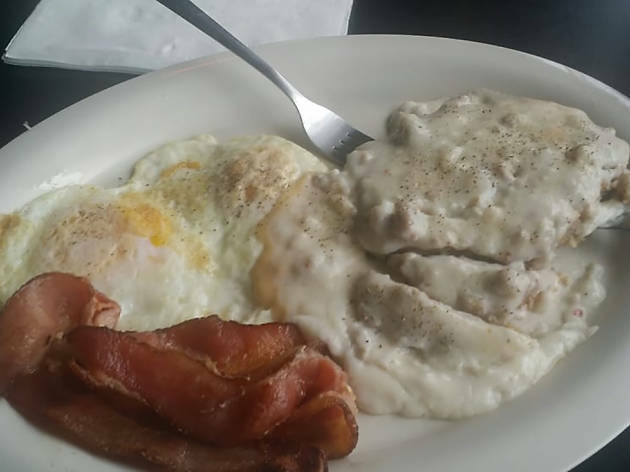 What is it: Breakfast, lunch and pastries are the standouts at this midtown cafe. For the past 15 years, owners Joe and Christina Logsdon and their bakery fairies have been up at dawn baking baguettes and brewing coffee. 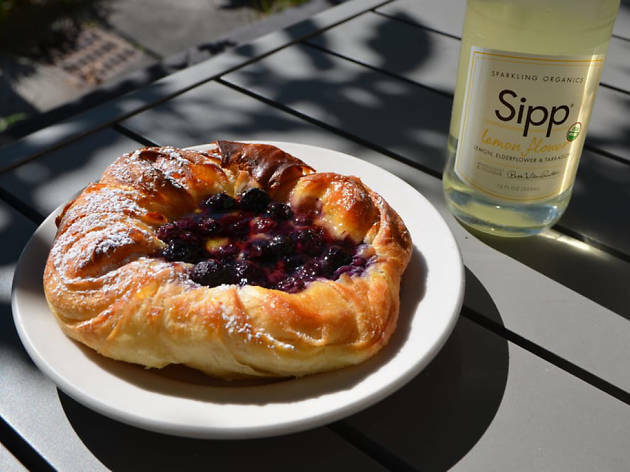 Why go: Danishes. Tarts. Macarons. We probably don’t need to say anything else at all, but we’ll tempt you with a few more bites of La Mie’s fortes. Sooth your sweet tooth with the Elvis-inspired peanut butter, bacon and banana French toast, or opt for a waistline-friendly yet filling order of egg whites, smoked salmon, red onion and crème fraîche. The rest of your day is bound to be brilliant when it starts on this delicious note. What is it: Craving a bit of Southern comfort? 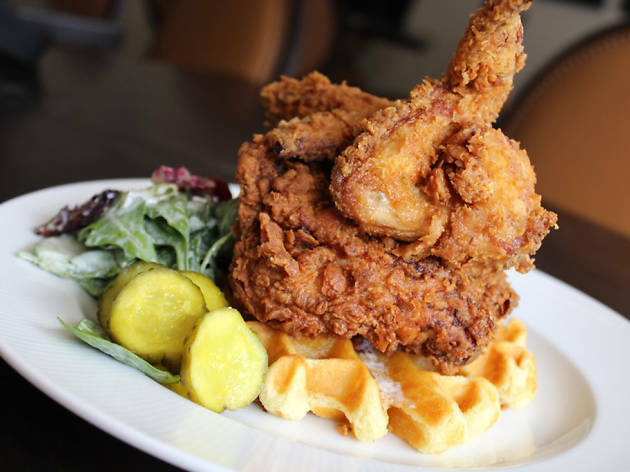 Brown liquors and buttermilk fried chicken are among the specialties at this downtown restaurant lead by Texas-born managing partner Chris Diebel. Why go: Come for happy hour in the elegant bar area and stay for dinner in one of the art-filled dining rooms. 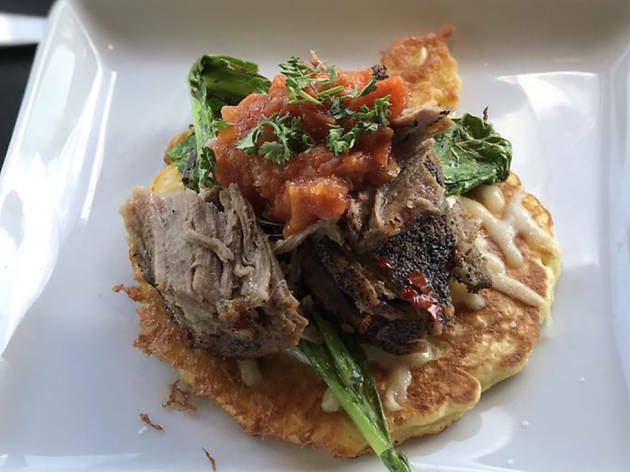 Head chef Courtney Oberender took over the kitchen in April 2017 and has since balanced out the menu with lighter options that won’t put you in a food coma. See: the poached egg and quinoa Southern protein bowl and the sorghum salmon salad. What is it: Open since 2016, blink and you’ll miss this tiny southside outpost. 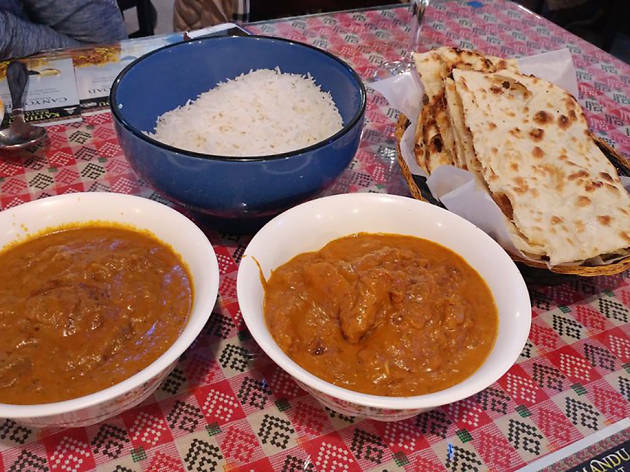 Keep those eyes open, because you won’t want to bypass the hot Indian and Nepalese menu—including chicken vindaloo, lamb tikka and shrimp biryani—that’s worth the drive from any corner of town. Why go: Unlike many Iowa restaurants, a three on the heat scale here is actually burn-your-nose, make-you-cough spicy. In a good way. Order at your own risk though, especially when opting for the chef special grill, unless you’re in the mood for a Man v. Food type of challenge. What is it: Not just Drake University students are welcome at this casual café/hole in the wall owned by local restaurant group Full Court Press. Study the menu and you’ll find several local contributors like La Mie (croissants) and The Grateful Chef (hummus) among the greasy spoon standards like fried cheese curds and onion rings. 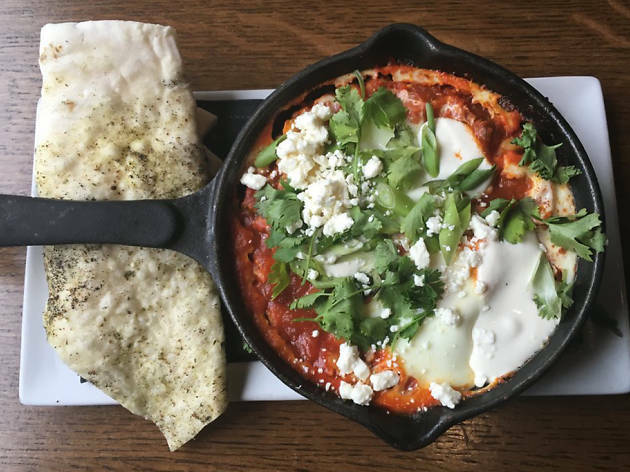 Why go: “Class” is in session from 8am to 2am on Saturdays and Sundays, so you can start recovering with an order of hangover hash or end the night with a piled-high plate of bean and cheese nachos. If anyone asks, just tell them you were at the library. What is it: Des Moines is overflowing with barbecue options, but Flying Mango soars above the rest by weaving in Cajun and Caribbean flair. Husband-and-wife team Michael Wedeking and Suzanne Van Englehoven opened the centrally-located restaurant 21 years ago in an effort to surprise Iowans’ palates with a combination of southern spice and island inspiration. Why go: If the wafting aroma of smoking brisket that hits you as you open the door isn’t motivation enough to order it, the fact that you don’t even need a knife to slice it—and the fact that it cooks for 24 hours straight before being sliced and served—surely will be. If you’re feeling fishy, ask for the redneck surf ‘n’ turf, a combo platter of ribs, cajun catfish, red beans, rice and cornbread with cinnamon-honey butter (whew!). Planning a trip to Des Moines? 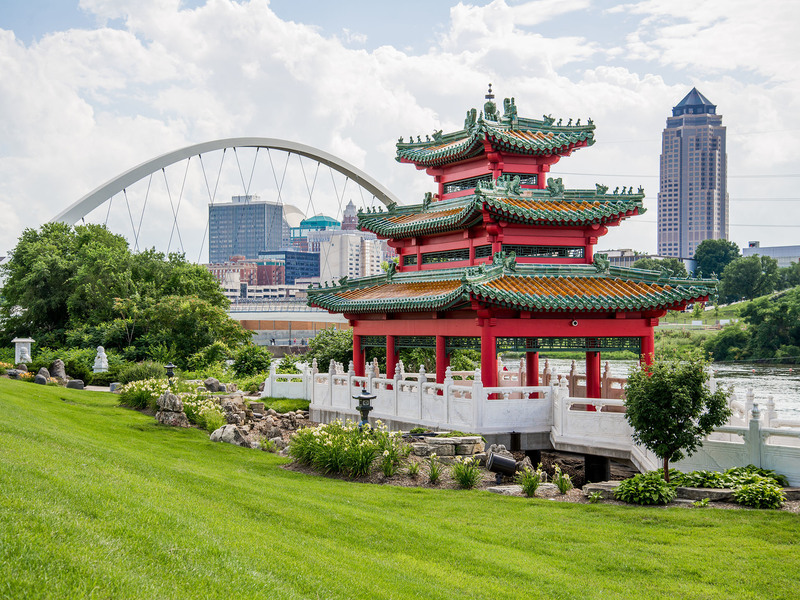 Home to one of the most bustling farmers’ markets in the Midwest (with about 25,000 attendees each Saturday), a big chunk of delicious restaurants serving fried foods on a stick (and then some) and some truly beautiful hotels, Des Moines is an ideal place to take up residence in or visit.